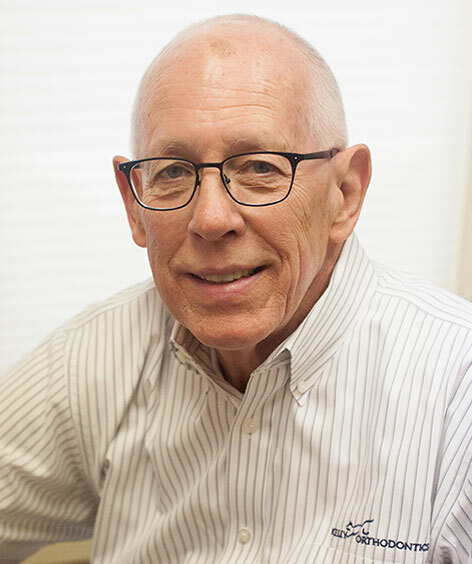 Dr. Bill Kelly attended the University of Illinois, Urbana-Champaign for his undergraduate studies. Bill received his dental degree (D.D.S.) from Loyola University-Chicago College of Dentistry where he also received his Certificate of Specialty in Orthodontics and Masters Degree (M.S.) in oral biology. He was awarded membership into the Blue Key National Honor Fraternity, recognizing his outstanding academic achievement. After serving as a Captain in the U.S. Army Dental Corp, Bill established his orthodontic practice in St. Charles. He is an active member of the American Association of Orthodontists, the Illinois Society of Orthodontists, the American Dental Association, the Illinois State Dental Society, and the Fox River Valley Dental Society. Bill is a past President of the St. Charles Kiwanis service organization and a former board member of both the St. Charles Chamber of Commerce and the St. Charles Community Chest. In 2012 Bill was the recipient of the prestigious Charlemane Award for his extended and continuing history of volunteer service to the community. He currently enjoys volunteering for Fox Valley Special Recreation Association. In 2012, Bill received the prestigious Charlemagne Award for his extended history of volunteer service to the community. However, Bill's proudest accomplishment has been his marriage to his wife Joelle. Together they have raised their five children in St. Charles and are thrilled to have all five of their children (including their oldest son Dan) living in the Fox Valley. 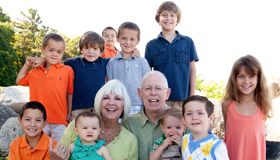 In addition, Bill and Joelle now have 10 grandchildren. Needless to say one of his favorite pastimes is babysitting! Bill's other interests include traveling, exercising, and rooting on his beloved Cubs, Bears, and Illini!